Implosion – Never Lose Hope ($9.99) is the latest game from Rayark, the developer behind the wonderful titles Cytus ($1.99) and Deemo ($1.99). It’s an outstanding game, and if you’re reading this review because you want to know whether or not you should drop ten US dollars (or your local equivalent thereof) on it, let me cut to the chase for once. Yes, you should. Head over the the App Store, hit the button to purchase it, prepare a cup of your beverage of choice while it downloads, and get ready to settle in for a slick action game with superb production values and seriously well-designed combat. I can’t recommend this game enthusiastically enough. Implosion puts you in the role of Jake, a hotshot young mecha pilot who is one of a group of humans that fled Earth in the wake of a global disaster. An incident has brought Jake and his team back to their home planet, where they’ll square off against a strange life form known as the XADA. The fate of the entire species is at stake, naturally. Luckily, you’ve got the War-Mech Series III battlesuit, a heavily armored piece of tech that’s as agile as it is powerful. You’ll fight your way through 34 stages of overhead action that take plenty of cues from the greats of the genre. It’s not shy about its inspirations, either. You start off with a few different kinds of attacks including a basic slash with your sword, a ranged machine gun, and a special move that allows you to zoom forward with your blade extended. That last move is basically Dante’s Stinger from Devil May Cry, and while this game doesn’t quite go down the rabbit hole as far as that game, its combat system is still extremely refined. As much as it feels like DMC at times, it also seems to have picked up a few lessons from Ninja Gaiden and God Of War. Your suit can’t jump, but it does do a pretty mean combat roll. Your attack combo naturally progresses into a spinning attack that hits just about everything around you. Your suit levels up as you rack up kills, allowing you to slap in new parts that improve its parameters. Those parts can be found around the levels, as rewards for besting certain challenges, or bought in the shop using the credits you earn in-game. Since your suit has a limited number of slots, you have to pick and choose what you equip based on the needs of each level and your own personal play style. Don’t hurt your head too much thinking about it, though. Equipment can give you a major edge, but this is a skill game more than anything else. If you can’t learn the basics of evasion and knowing when to attack, all the gear in the world isn’t going to help you. The game generously offers plenty of chances to retry should you fall in battle, but like most games of this type, Implosion grades you at the end of the level. Should you give in to temptation and use those retries, your score will take a hit. Even if you don’t care about scores, there is strong incentive to meet at least some of the game’s demands, as doing so will earn you badges that you can trade in for all kinds of interesting goodies. If you do care about scores, you’ll be pretty happy with how well the system is handled here. There’s plenty of room for mastery and each level has its own Game Center leaderboard, providing excellent motivation for revisiting in pursuit of a higher score. Controlling it all is a snap. There’s a floating virtual stick for movement, with a handful of virtual buttons that control your other actions. Switching between melee and ranged attacks is as easy as sliding your finger on the attack button, and the roll is easily accessible just under it. Special attacks are mapped around the main attack button where you can get at them in a pinch. While it’s not always easy to hit specials in the heat of the moment, your thumb falls pretty naturally on the buttons for attacking and dodging. It’s about as good as can be expected from a virtual button layout. The game also supports MFi controllers, if you have one. I found the touch controls were more than suitable for making my way through the game, but some of the challenges that require you to clear a level without getting hit were a bit tricky without resorting to my controller. Games like these greatly depend on having a good variety of enemies to throw at the player. Implosion does alright in this regard, though the zombie fodder enemies are perhaps a bit overused. Importantly, however, the boss enemies and even the larger regular enemies provide excellent challenges, especially when other baddies are tossed in with them. Many of the bigger enemies have renewable shields that you have to break down before you can do damage to them, so you really need to stay on top of them and not get distracted. The game also throws in environmental hazards pretty regularly that you’ll need to avoid and use to your advantage. 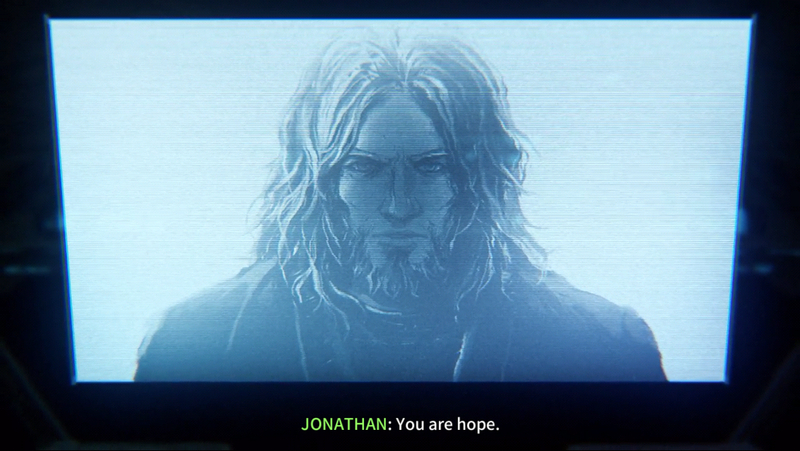 The game’s description promises console quality, and it delivers on that promise in its presentation just as well as it does in its gameplay. The graphics are very good, the action is smooth, and there’s actually a fair bit of variety in the environments, all things considered. There’s a fairly large amount of voice acting, and the music is excellent. It’s rare to see an original game on iOS with this kind of oomph to its production values, particularly one that backs said values with equally strong gameplay. The story is at least interesting enough to glue the stages together, and all the important boxes are ticked off in terms of options. In addition to the aforementioned Game Center and MFi support, the game also has iCloud support so you can easily play between devices. 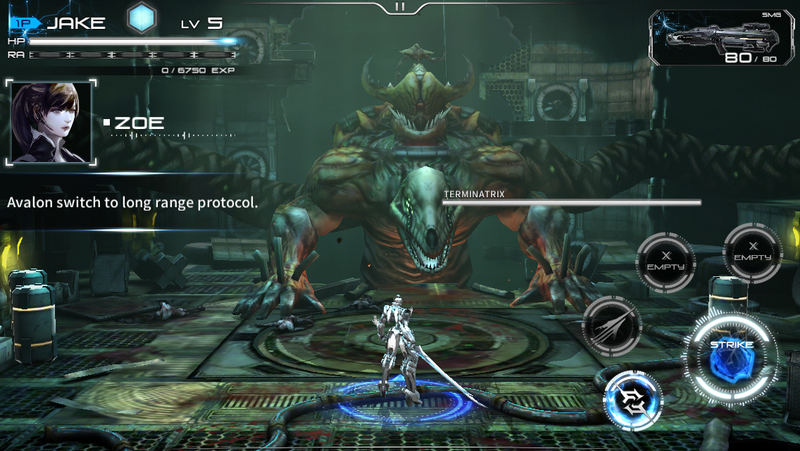 Implosion is also totally IAP-free, so the game’s many cool unlockables are just that: cool things to unlock. I don’t mind saying that I’m kind of head over heels for Implosion. I’ve played it through a few times already, and I suspect I’ll be going through it more in the future. It’s a well-designed action game with enjoyable progression, fun customization, and fairly deep mechanics. That all of that is wrapped up in a stunning package is just delicious frosting on the cake. I imagine this was a risky venture for Rayark, not just because of its level of polish but also because it’s pretty far outside their usual fare. On top of that, it’s an entry in a sub-genre with some seriously high watermarks overall but few successes in the mobile space. I hope it pays off for them, because I can only think of two words to finish this off with: more, please.